The Entity Detector is a block that emits a redstone signal if it detects a certain type of entity in a configurable radius around it. If you right click on the block it will open a gui in where you can change the radius & the type of entity the detector is supposed to react to. You can also invert the filter (If you invert “Players” the detector will emit a redstone signal if any entity that is NOT a player is inside of its radius). 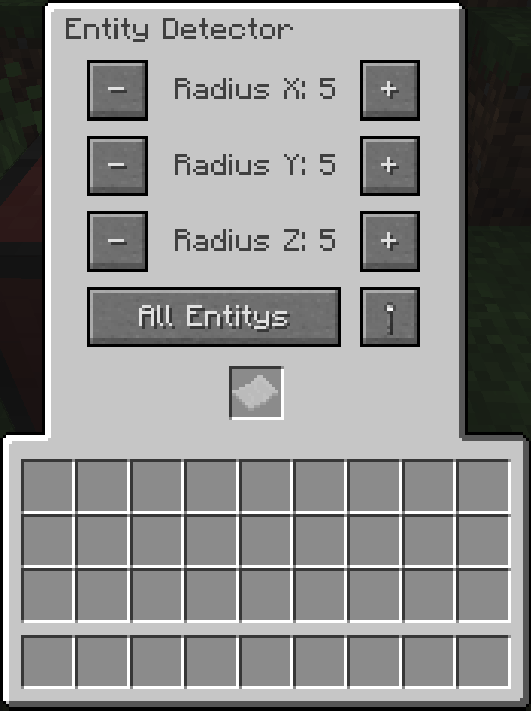 If you set the Filter to Custom the block will use the Entity Filter in its inventory slot as its filter.